Sheryl Monks, a former professor and alumni of Salem College, will release her book titled “Monsters in Appalachia: Stories” on Nov. 1, 2016. The book will be published through Vandalia Press, a part of West Virginia University Press. Composed of 15 stories, Monks’ book portrays various characters who battle all that life could offer whether it be temptation, desires, or looking for redemption. These stories take place in locations such as rural North Carolina, along Route 66 and among the West Virginia mountains. Since Monk is from West Virginia and grew up in the North Carolina foothills, the characters and their stories seem to stem from Monks’ own childhood and her interactions and experiences within these places. Monks has been writing since she was a student at Salem. She shares that she wrote on and off her whole life, but when she arrived at Salem, she fully immersed herself in writing and in Salem’s English and Creative Writing programs. Although she cannot quite pinpoint where her motivation to write comes from, Monks admits that she believes she possesses a knack for writing and has wanted to capture stories since she was a child. 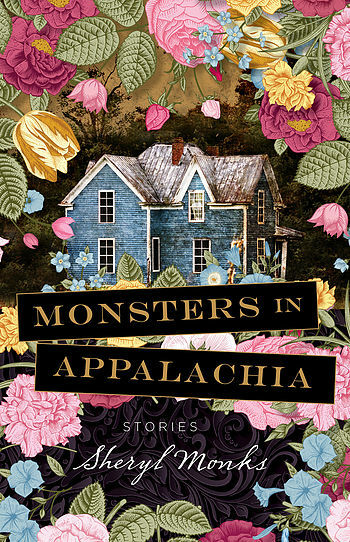 Monk’s motivation to title her book “Monsters in Appalachia: Stories” comes from one of the stories in the book itself. Monks’ inspiration for that particular story came to her in the rush of a dream. She reveals that although the dream came in a rush, Monks had to wait a few years for her mind to work out the story and the story’s ending. Those who have had the privilege to read and review “Monsters in Appalachia” give praise for Monks’ balance between humor and sadness and her accurate portrayal of Appalachia. Regarding the upcoming book release, Monks admits that she is eager and slightly nervous to introduce her family and friends to these story worlds she has created. Monks is looking forward to sharing the experience of reading her stories with readers who are interested in spending time discovering the stories she has created. Those who are interested in preordering or purchasing a copy of “Monsters in Appalachia: Stories” can visit sherylmonks.com or wvupressonline.com. Pingback: Former Salem Professor Releases Book | What can you do with your English degree?